Join us February 23, when Margaret Francis, Chase Reeves, and Justin Kistner present three different tools that bring robust search and reporting to your social media program. Aaron Gray moderates the program, guiding us through his user perspective on measuring and monitoring social media. This will be a fast-paced hour and 20 minutes, definitely a “don’t-miss” opportunity to understand the differences and comparisons in these tools. Time: Networking at 6:00 p.m., Panel at 6:30 p.m.
Aaron Gray moderates our panel as each panel members covers a specific tool: Margaret Francis presents the latest on Scout Labs; Chase Reeves presents the latest on Iterasi PositivePress; and Justin Kistner presents the latest on Webtrends and Radian 6. A Q&A session follows the three speakers, so get your questions in early in our comments section below. Aaron Gray, Principal and Owner of Greater Returns, helps companies use web measurement and optimization tools and processes to drive measurable improvements in marketing and business performance. A veteran in the space, Aaron has held key roles at multiple analytics software companies, including Coremetrics and Webtrends, driving measurement and optimization efforts for organizations like AT&T, Bank of America, Alltel, Mastercard, Fujitsu, HSBC, Logitech, Orbitz, American Eagle Outfitters, ThomsonReuters, Internet Broadcasting, Kmart, SkyMall, and more. In 2000, Aaron founded Tweak Interactive, an interactive strategy and design business focused on great customer experiences. 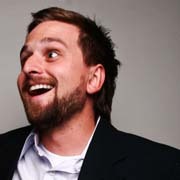 At Tweak, Aaron developed and tested site strategies and interaction models for both emerging and established brands. It was at Tweak where Aaron first discovered the power of data to drive site design optimizations, leading to better business performance of the site. Aaron has a Bachelor of Arts degree in Psychology from The Evergreen State College in Olympia, Washington. 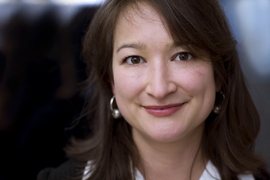 Margaret Francis is VP Product at Scout Labs, leading development of the social media insight & collaboration platform. As former Director of Strategy at Razorfish, Ms. Francis developed marketing and technology strategies for Fortune 500 companies and led cross-functional teams to deliver cutting edge web sites and digital marketing programs. Her clients have included major brands such as Visa, Nike, JC Penney, Apple, Palm and BP. She is a graduate of Yale University and SFAI. 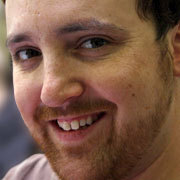 Chase Reeves is the director of marketing at Iterasi, Inc., a provider of web page and web presence archiving products. Chase has been working online for six years and has experience in product management, web strategy, reputation management, web design and development, and email marketing. He currently lives in Portland, OR with his wife Mellisa and son Aiden. Justin Kistner has developed social media marketing programs for companies like HP, Intel, and Jive Software. Currently he is the Sr. Manager of Social Media Marketing at Webtrends. In his spare time, Justin has served on the Board of Directors for Artists for the Arts and Legion of Tech. He is also the founder of Beer & Blog. I’d love to attend this event please keep me informed.